Unless you totally unplugged for the holidays you are surely aware that Star Wars: The Force Awakens is a box office juggernaut unlike anyone has ever seen, breaking records left and right. But in China, one movie may stand a chance against it: Sherlock. Yeah, you’re correct in thinking that Sherlock—the latest version with Benedict Cumberbatch and Martin Freeman—is not technically a movie. It’s a TV series. 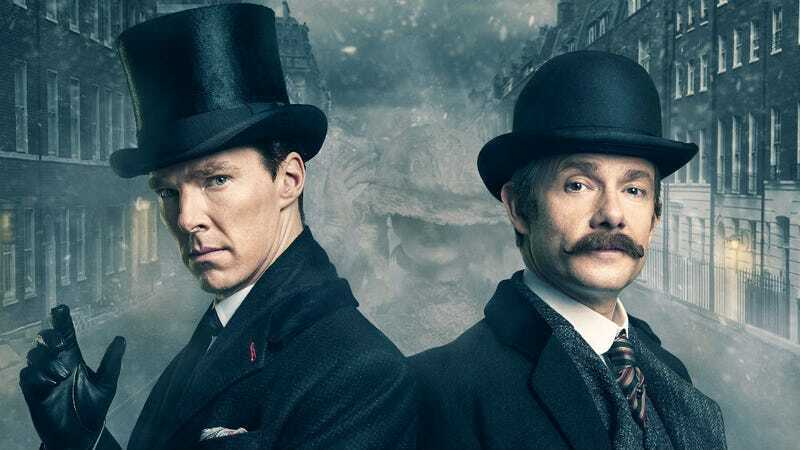 But upcoming holiday special, Sherlock: The Abominable Bride, is both airing on TV and being released in theaters. In most places, like the U.S., it’s getting a very small theatrical release. However, China is opening it much wider—and just a few days before Star Wars opens. According to the Hollywood Reporter, Sherlock: The Abominable Bride is getting “an extended run in all cinemas across China beginning on January 4.” The Force Awakens opens January 9, and while it might seem obvious that Star Wars will blow it out of the water, things aren’t that simple. On the other hand, the reason Sherlock is getting a big release in China is because Sherlock is huge in China. Like, hundreds of millions of views on streaming sites huge. Benedict Cumberbatch superfans huge. It’s so big, an official publication of the Communist Party, the People’s Daily, has given the show a positive review pointing out its “tense plot, bizarre story, exquisite production, excellent performances.” Sherlock: Communist approved! Ultimately, will Sherlock: The Abominable Bride outgross Star Wars: The Force Awakens? Probably not. The Disney marketing machine has been too good with this movie and it’ll be on screens for a while. But the fact that in the world’s second largest film market, a TV show even has a chance to compete is pretty fascinating. Sherlock: The Abominable Bride will air on BBC and PBS January 1. It’ll play in select cinemas on January 5 and 6.